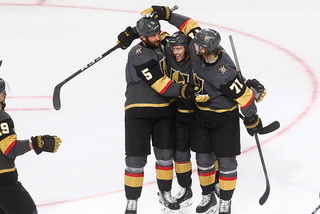 Tomas Nosek scored twice and Ryan Reaves added another during the third period to help defeat the Washington Capitals 6-4 in Game 1 of the Stanley Cup Final. 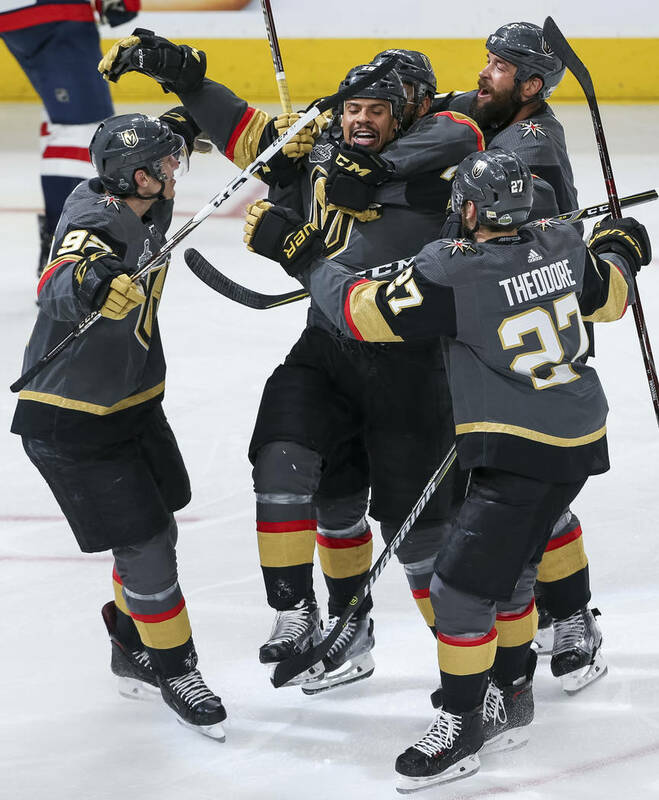 For a group that averaged just over 11 minutes, Ryan Reaves, Pierre-Edouard Bellemare and Tomas Nosek sure did plenty of damage to open the Stanley Cup Final. 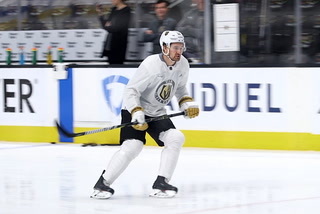 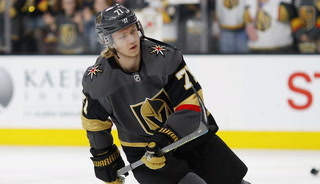 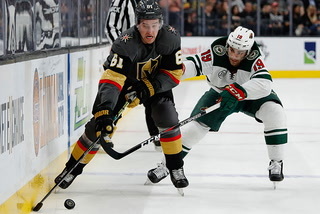 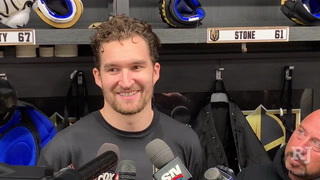 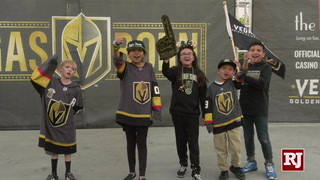 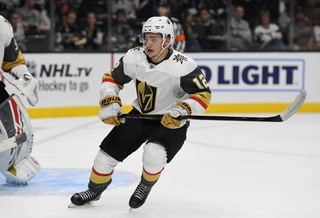 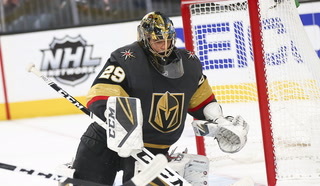 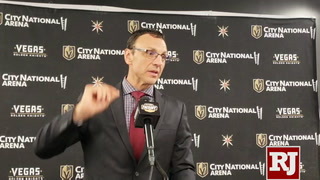 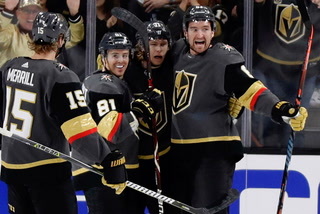 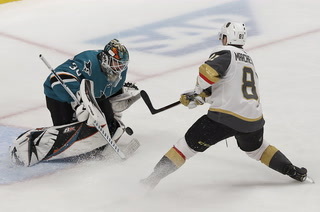 The Golden Knights’ fourth line had three goals in the third period and was the difference in the 6-4 victory over the Washington Capitals in Game 1 Monday at T-Mobile Arena. 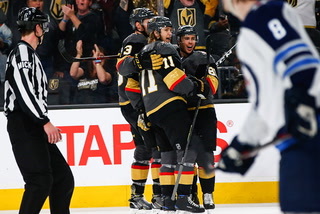 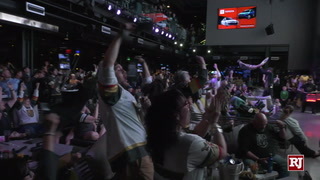 Nosek scored twice, including the game-winner at the 9:44 mark and empty-net goal to seal it with 2.67 seconds remaining while Reaves tied it 4-4, scoring for the second straight game. 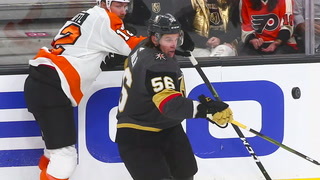 Bellemare, who didn’t have a point, was 6-4 on faceoffs and a plus-3 while playing just under 12 minutes. 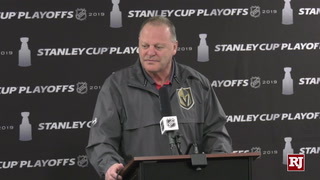 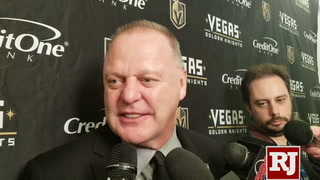 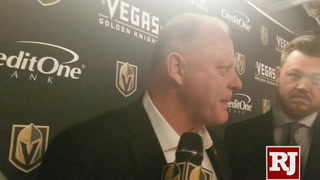 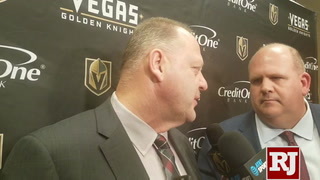 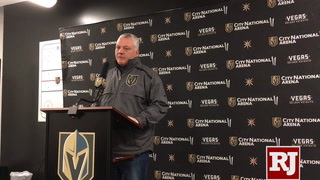 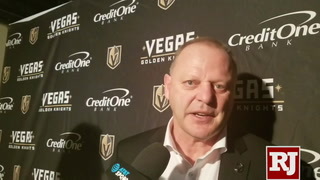 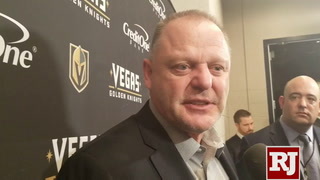 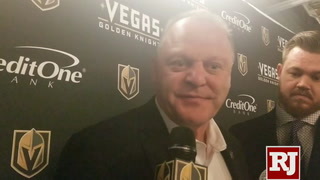 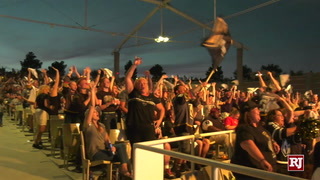 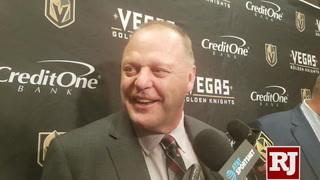 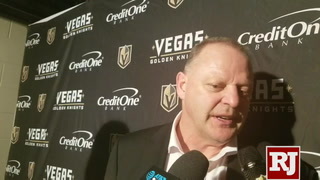 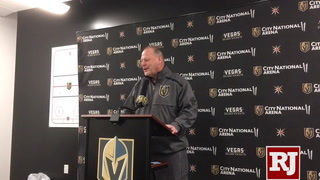 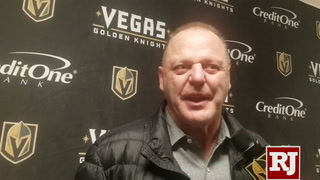 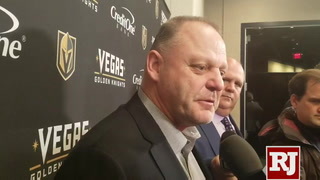 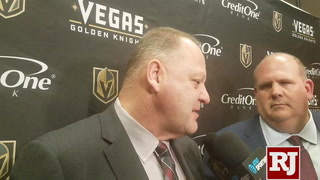 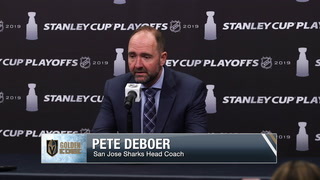 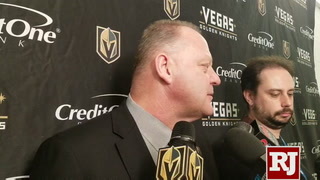 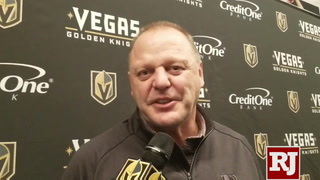 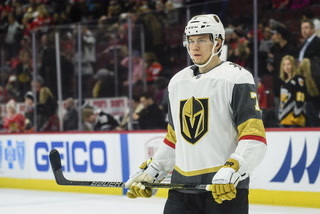 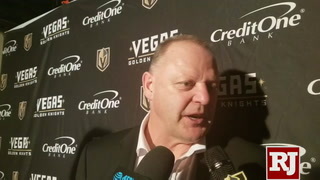 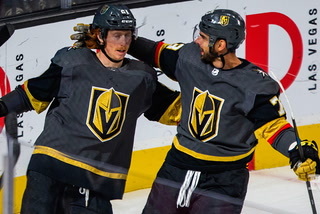 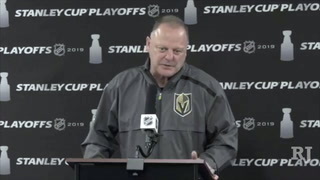 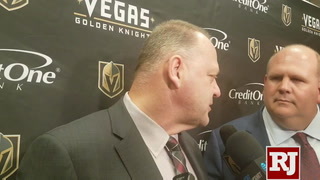 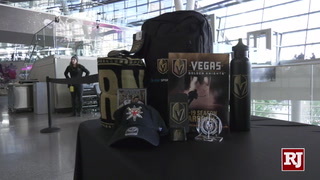 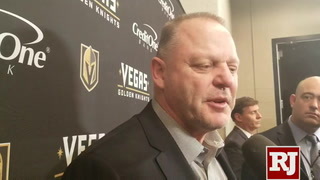 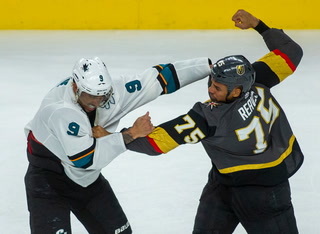 Knights coach Gerard Gallant said that has been the key all season to the Bellemare line’s play, regardless of who is skating on the flanks. 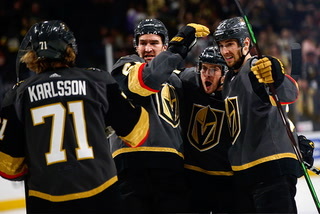 Sometimes, they get a break or two as well. 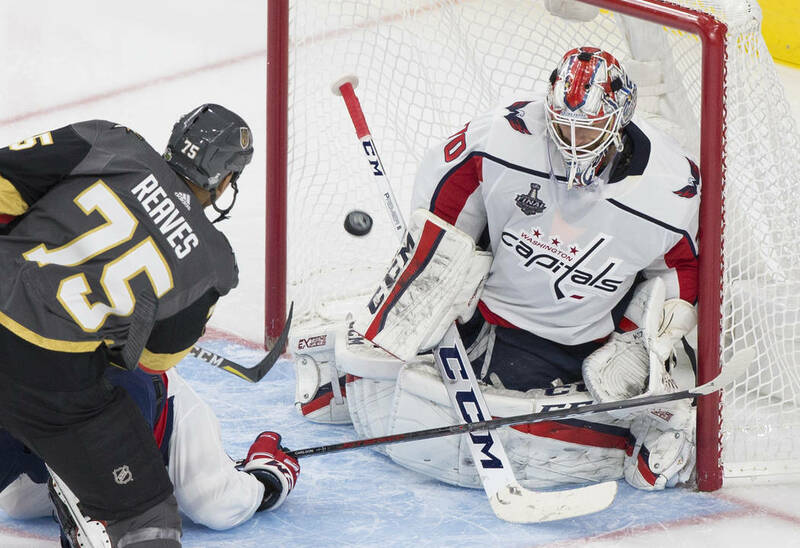 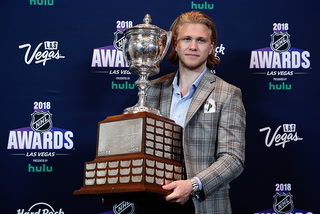 Reaves cross-checked Capitals defenseman John Carlson to get himself open and had no one impede him as he collected a loose puck and beat Braden Holtby from close range at 2:41 of the third period to tie the game at 4-4. 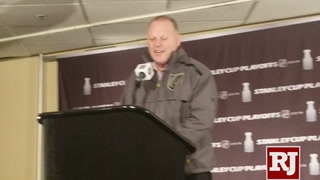 Washington coach Barry Trotz said he didn’t like the play and thought the Capitals should have been going on the power play. 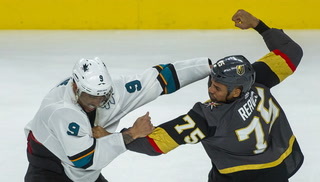 Reaves, of course, saw it differently. 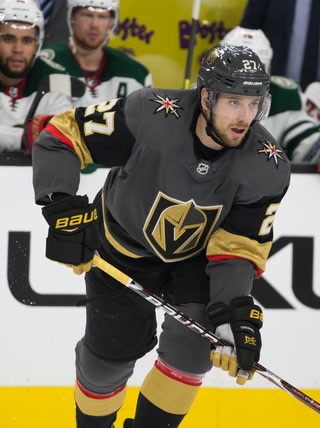 Nosek’s first goal also came as Devante Smith-Pelly failed to clear the zone and Shea Theodore kept the puck in Capitals territory, eluded one would-be defender, than made a perfect cross-ice pass to Nosek, who one-timed it past Holtby. 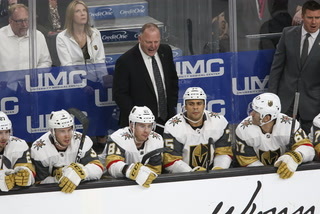 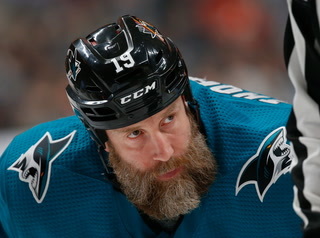 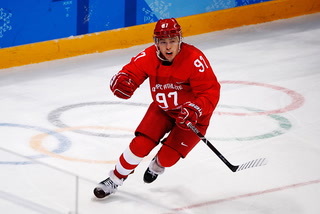 They also didn’t back down from Caps tough guy Tom Wilson who once again crossed the line by taking a run at Jonathan Marchessault in the third period and forced Marchessault to leave the game briefly. 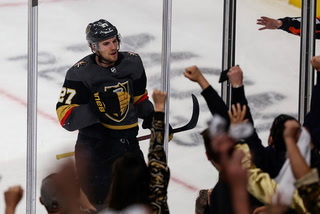 But Monday was more about the Knights’ resiliency that helped them win Game 1 and need just three more victories to capture the Stanley Cup. 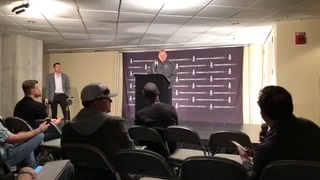 Game 2 is 5 p.m. Wednesday.